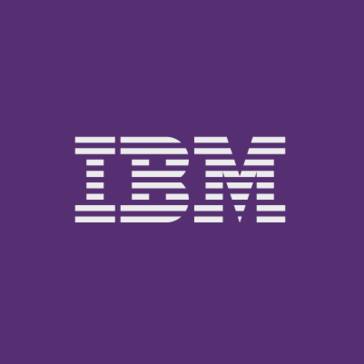 Work for IBM Watson Customer Experience Analytics? Learning about IBM Watson Customer Experience Analytics? "Essential for large enterprises that mark Customer Experience as mission critical"
Some of the platform is still running on decade old code and badly needs updating and transition to current industry supportability standards (hosting, private cloud, dockerization, etc). UI is also arcane, and could be optimized so it increases users effeciency rather than having to be taught by internal power-users or administrators. It takes a a CX champion within a company, an executive stakeholder and a vision to ensure it becomes a critical part of an organization, if you want to have it grow to advise company wide impact, rather than a simple tool supporting only a single organization. However if you do, it has the power to greatly help many processes and groups. I've personally worked with teams to provide more than $250M in revenue and cost optimization for several Fortune Top 500 companies over 13 years of use. "Better UI but some missing features and bugs need fixing"
The new UI offers plenty of dashboard options, including the ability to create custom dashboard view. Unlimited explore reports and reporting segments allow users to dive deeper into their reporting. The new portal is still very very slow and a bit buggy. Some key features are missing (Monitor, admin, benchmark..) and unique visitor metrics still not available across functions. Form tag disappeared, what a bummer!! Identify high-value segments to deliver personalization at large scale; identify top performing areas on the site that support conversion to help prioritize enhancement backlog. "Best in class to answer your why questions"
we use WCXA for understanding User experience, Conversion funnel dropout points, session replays. We were able to significantly improve user experience, and influence their interaction with the brand. understanding of our client technology experience and where we can improver our services to them. Customer entire journey analytics, Mindset analysis in cxa to discover your highly active customer. Drill down to each session to see customer level Replays. Not kind of dislike, but seeing this as future implementation. Please implement Tealeaf replay to full screen. Gathering all marketing, sales, IT data to improve overall customer experience of each visitor. "Easy to implement and easy to use"
Having worked with the on-prem solution for Tealeaf it was really nice how the cloud solution setup was as easy as deploying the SDK on the site. Some of the report capabilities from on-prem are missing on the cloud solution. In session replay, the lack of a sub search function really hurts the usability of the product. Gather more insight into user experience as well as expose errors that the customers might be experiencing while navigating the site. Well... it isn't free. Other than that, not much. The product grows with us. Just what you'd expect... customer satisfaction is key to us and we thought we had great approval percentages. After CEA, we saw we didn't have a complete picture. Now we have reliable, validated reports on customer experience. Thanks for sharing your review! We glad the tool has become a valuable resource for you. To see the latest product news and updates, please visit: https://ibm.co/2mtAcxS. Easy to understand and interpret results to our business need. The ability to scale the analytics to multiple uses is a tremendous asset to our organization. Not a lot to dislike about this product. Data cleansing and structure took a bit of time, but not unreasonable. Understanding spend patterns in customer behavior. T'his tool enabled us to isolate value driving behaviors. Ease of use is a key aspect. This is the most important. should have ability to automatically connect da with cx and a way to bring and tie in actual transactions out side the system back in the cx - like transactions that happen offline, also seo support and ability to tie in sessions from different domains. The new UI offers of dashboard options options, including the ability to create custom dashboard view. The explore reports and reporting segments allow users to dive deeper into their reporting. A Great feature. It is still a little sluggish, and compete custoemr reorting can be an adventure. Identify performing segments to deliver personalization at scale. "Easy to connect with multiple sources"
There is not much persistent features available. We are still in the process of deploying analytics to our production systems, but the impact we noticed in our lab was immediate for identifying patterns and helping up pick up on details that were being missed previously. Supporting documetnation/training materials should be easier to identify on the IBM site. "A key component to guage Business insights"
A bit more busines user freindly UI will be amazing! "Used to be great, now becoming outdated"
We use this to monitor customer experience and for early idetification of issues. Has helped us respond to issues before customers complain. Sometimes I find the log in process cumbersome when changing from one computer to another. In my usual work I try to define customer retention and conversion rate. "a great customer experience tools"
Thw softwrae has easy to use interface, Interactive dashboards and good segmentation features. Codding when you don't find the feature embedded int the software. There was an issue with sales analysis and cusomer churn. Now we get sales increase, better customer insights, better customer relationships. "Great tool for understanding the real user experience"
Some of the user management tools in the integrated WCXA could be better. "A Unified View of Customers"
The ability to understand our customers with more comprehensive analytics. Wishing we had this before in our journey with IBM. The connection between customer sentiment and the services we provide them. "Watson for analytics and insights"
data load and rdbms limitation as columns, no user code/function merge. Easy to use and collaborative. Highly recommend product ; very easy to use; great results! "Watson CX Analysis formerly Tealeaf"
The cloud version is much easier to setup. Quicker interface, etc. Understanding how our customers traverse our website. "CXA Provides Insighful Customer Interactions "
Diificut to integrate multipe Client IDs out of DA. "Great experience and improved solution"
* We monitor all IBM Watson Customer Experience Analytics reviews to prevent fraudulent reviews and keep review quality high. We do not post reviews by company employees or direct competitors. Validated reviews require the user to submit a screenshot of the product containing their user ID, in order to verify a user is an actual user of the product. Hi there! Are you looking to implement a solution like IBM Watson Customer Experience Analytics?